Few yards are perfectly flat. (Well, maybe in Ohio, which is so flat I can see Cincinnati from Toledo. But in normal places, no.) Some yards have only a teeny-tiny grade (2 ft. or less), so pool builders can grade the dirt off the patio to compensate for the difference. However, not every situation is so simple. When you have a big slope, you need a big solution. How will you keep the water from running onto the pool deck? How will you keep the pool in place? Enter retaining walls, stage left. Some of us (like my friend Ed and my mother) have a green thumb. Some of us (like me) have a black thumb. I either over-water or under-water any houseplants I try to nurture; low-maintenance succulents are the best I can manage, and even that is hit or miss. When you're planning the plants to put around your pool, you'll of course want to pick the prettiest species. But hold your horses! Yes, beauty is important, but there are more strategic elements you need to consider too. When does a pool need a retaining wall? One of the biggest challenges that I run into when I show up at someone’s home to lay the pool off is the grade of their yard. I rarely walk into someone’s back yard and discover that it is completely flat. Sometimes I find that with some extra gravel and some creative backfilling we can get by without the extra expense of walls. Sometimes walls can really add to the aesthetics of the pool when incorporated properly. In the market for an inground pool? If so, you're certainly looking for the options and accessories that best meet your needs. Let's discuss 10 of the most popular and innovative pool options in the pool industry today! You'll learn why they are gaining in popularity and ballpark costs for each. Inground Pool Elevation: How High Should I Set My Pool? Note from Marcus: This is a guest post from one of the most prominent landscape designers in the Northern Virginia area, David Marciniak of Revolutionary Gardens. Lately it seems that a lot of homeowners I am meeting with have slopes in their backyards. Some of these slopes range in a grade difference of 1’ to 6’ from where the pool deck starts and finishes. 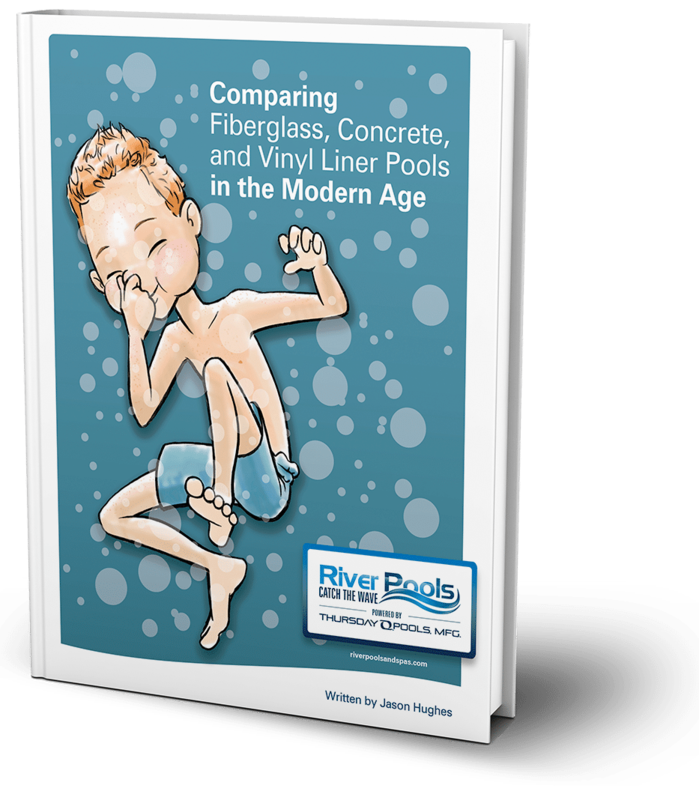 What this means is that your fiberglass pool, when set in the ground, may be even with the ground on one end or side and 1 to 6 feet out of the ground on the other end or side. In such occasions, retaining walls are often the necessary solution, although moving the pool to another more flat location can at times work as well. I had one customer who could have moved their pool to an area in the backyard that would have alleviated any walls, but they wanted the added visual effect the walls would give them. When purchasing a swimming pool, many homeowners debate as to whether or not a water feature is a worthy investment. Although arguments could likely be made for both sides, I would emphasize here that a pool is an AWESOME addition to a back yard and to your family experience with or without such a feature. Notwithstanding, there are some definite benefits to having a water feature installed on your swimming pool. Here are my top 3. Also, make sure you take a look at the following video as it shows a recent stone water feature we built on a 16x40 fiberglass pool. One of the most challenging aspects of buying an inground pool is visualizing what the finished project will look like, and this is especially true on a sloping lot where retaining walls are needed.